As a WILD-certified education coordinator in a popular wildlife park, Sue Penney has reached thousands of visitors, delivering outdoor workshops on a wide range of ecological subjects to kids of all ages. She shares her remarkable enthusiasm with everyone she meets. 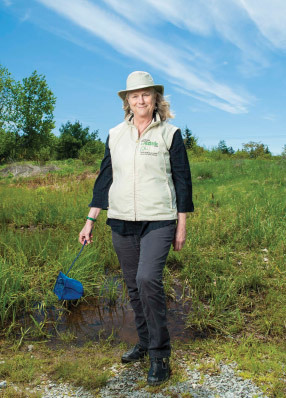 Committed to her work, she has trained and inspired countless other educators to help reach even more youth and in doing so has created an enduring legacy of passion for wildlife and conservation.